Illustration: Caught in a blizzard in Wyoming. 20 But you have an anointing from the Holy One, and all of you know the truth. 21 I do not write to you because you do not know the truth, but because you do know it and because no lie comes from the truth. 22 Who is the liar? It is the man who denies that Jesus is the Christ. Such a man is the antichrist—he denies the Father and the Son. 23 No one who denies the Son has the Father; whoever acknowledges the Son has the Father also. 24 See that what you have heard from the beginning remains in you. If it does, you also will remain in the Son and in the Father. 25 And this is what he promised us—even eternal life. 26 I am writing these things to you about those who are trying to lead you astray. 27 As for you, the anointing you received from him remains in you, and you do not need anyone to teach you. But as his anointing teaches you about all things and as that anointing is real, not counterfeit—just as it has taught you, remain in him. 28 And now, dear children, continue in him, so that when he appears we may be confident and unashamed before him at his coming. 29 If you know that he is righteous, you know that everyone who does what is right has been born of him. This seems like another harsh scripture when it calls people liars and antichrists. But is it really harsh to say this? I don’t think this is a very good evangelism tactic. To go up to a group of people and call them liars and antichrist might not have the effect we’re looking for. Jesus went around Israel preaching repentance of sins to a people who knew the Law but when he encountered a gentile he commended them for their faith. But here John is writing to Christians who needed some courage in their faith. An argument had come up when some of the church members began to discredit the work of Christ. The Gnostics believed that Jesus was not able to nor did he desire to resurrect our bodies, that Jesus did not have a human body and therefore did not die for us and that true salvation is through knowledge of the holiness of our spirit not through faith in Christ. The world says some dumb things about Christ but the things I hate most are when the world depicts Christ as some looser hippy playing a harp. People don’t realize the power of Christ and that one day when he returns he will not be on a cross, they will not crucify him again, he will be back in complete power the thrown to judge the world. There is a great danger facing all mankind but Christ is the savior. So as for calling a person who denies Christ an antichrist goes, it’s similar to a person going to the fire department and tell the firemen not to believe the call for help when someone’s house is on fire and people are in danger. That person is a liar! And an anti-rescuer! As a matter of life and death for all people, that person needs to be recognized for who he is. He is putting people’s lives at risk. There are people who try to obscure our need for Christ. Some people come out from the church! Can you believe it? There are some people who claim to know all about Christ but deny his power! A person who denies the work of Christ and tries to make us doubt our Savior is an antichrist. John 3:17 For God did not send his Son into the world to condemn the world, but to save the world through him. 18 Whoever believes in him is not condemned, but whoever does not believe stands condemned already because he has not believed in the name of God’s one and only Son. To say there is no danger from our sins is to humiliate Christ, to discredit his character. They call Jesus a liar and make themselves out to be equal with or as good as God. A person who says that there is no accountability for our sins is a liar because there is always accountability for breaking the law. The laws in our country are there to protect its citizens. The same applies to moral laws from God. There are many lies about God that try to take away the power of His Word. Many try to make God no better than a man. Some try to claim there is no God. Others tell lies because they want to be God. But most lies are told because we don’t want to be held accountable for our sins. Every lie has one predominate characteristic: it is at war with the truth. There is a war of deception being fought against the people God is trying to save. We need to expose those lies. In this war against the truth we have a mighty edge, the Holy Spirit! 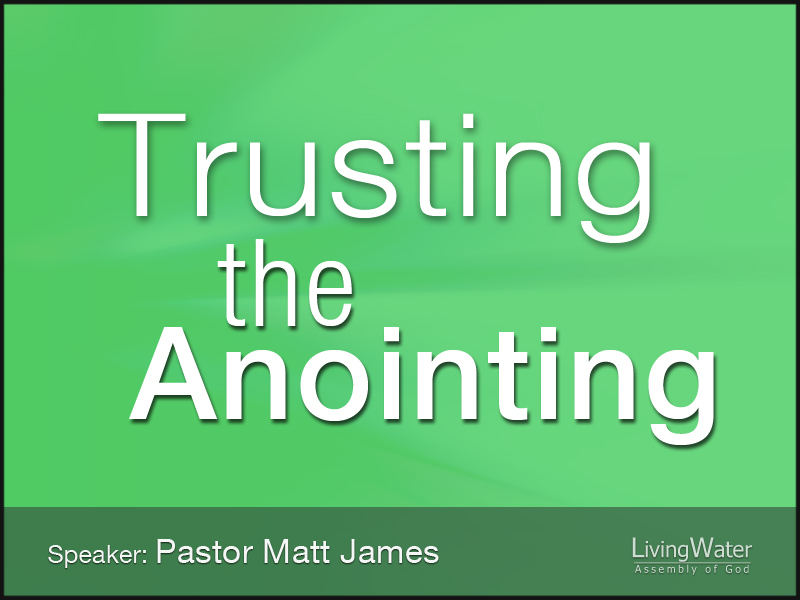 The same Spirit that anointed Christ at His baptism has also anointed us! If Christ was successful in his ministry then we will be successful with him! If Christ came to save the lost then we will find the lost with him! If he came to be the light in the darkness then we will also shine with him! If Jesus exposed the lies of the devil then with His Spirit we will also expose those lies! Do not doubt your salvation or the power of Christ at work in your life. When a lie comes against you to tear your faith from you go back to the Word. When we are discouraged by some lie go back to the Word. We need to be vigilant in keeping the Word of God alive in our lives. Remaining somewhere means to not move from where you are. If we are following Christ then we remain in the path he made. His path is the words he spoke, the promises he gave, the light he shines, the truth he told and the blood he shed. Don’t lose sight of His path. Just like following the light and tracks from the truck we need to keep our eyes on the truth. Sometimes I could barely make them out but I knew the truck was there. With the Holy Spirit in our lives we have the authority to do what God does and to walk His path. Jesus said we would do greater things than what he did so we should check this promise out. Spending time in the Word gives us the courage and ideas to do as Jesus did and in a way pleasing to Him. Don’t be discouraged by the lies, isn’t the last hour of the trip usually the longest? There are going to be blizzards in life that try to confuse us and Satan will use those lies to distract us from listening to the Holy Spirit. The older I get the more I appreciate the truth. We need a courage that comes only from You. One that keeps us on track in the truth that You alone speak. There is no lie in Your heart. There is no deception that can keep us from Your love. Your Spirit is a constant peace in our lives. You lovingly remind us that we are Your children. Eternal life with You means trusting You now. No one can take us from Your hands. You alone are God.